Who will support your digital twins? Home / Articles / 2018 / Who will support your digital twins? Solution suppliers double down on lifecycle play. Among the many new terms that have entered the digital transformation vernacular over the past several years, the “digital twin” is perhaps the most complex and multifaceted. While it’s relatively easy to conceptualize a digital representation of a physical entity, that’s pretty much where the easy part ends. Indeed, to be truly useful in an industrial context, the digital twin of a production asset or even an entire facility must retain not only the original design data used to create it, but also bear the unique and idiosyncratic characteristics that theoretically identical products evolve based on their own particular history. 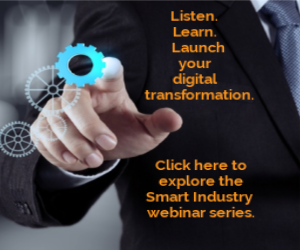 An effective digital twin then must bridge the gap between design and engineering tools such as for product lifecycle management (PLM) and the real-time production automation solutions used for ongoing operation and optmization. In doing so, the digital twin essentially provides a contextual framework for all the Big Data generated by and about the industrial asset over the entire course of its useful life. So there’s a lot at stake for owner/operators—and for technology providers, too. Those players who can bring a complete solution together on behalf of their customers realize they stand to benefit commercially over the longer term, since those that “own” the model, own the business as well. Recognition of this potential annuity has given rise over recent years to increased investment among both design and automation specialists in developing integrated capabilities on the opposite sides of the aisle. In the realm of discrete manufacturing, automation solution provider Siemens and design software company Dassault Systems were among the earliest players to stake out a claim on this integrated world of design and automation, with each entering the others’ world through acquisition some 10 years ago. As your organization’s digital transformation continues to mature, it’s worth thinking about who you want responsible for the care-and-feeding of your digital twins. It’s a relationship that just may last a lifetime. Keith Larson is Smart Industry's editor in chief.